At present, China semiconductor industry is still in the primary development stage, with the development level lower than the international advanced level. 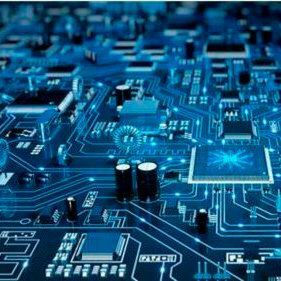 With the large-scale introduction, digestion, absorption and key construction of semiconductor industry in China, China has become the largest semiconductor market in the world. The overall prosperity of semiconductor industry is good. In 2017, global semiconductor revenues were about USD 412.2 billion, with year-on-year growth of 21.62 %, driven by memory price increase and IoT (Internet od Things) demands. Global semiconductor revenues are expected to reach USD 450 billion in 2018, with a growth of 7.7 % compared to 2017, realizing three consecutive years of steady growth. The H1 in 2018 was USD 239.35 billion, with a year-on-year growth of 20.4%. According to the global sales in Q2, 2018, regionally, China, America, Europe, Japan, Asia-Pacific and all other regions have a growth rate of 30.7%, 26.7 %, 15.9 %, 14.0 % and 8.6 % respectively. All regional markets and major sub-categories markets are expected to grow in 2018, with the highest growth sub-category still being memory (growth rate of 26.5 %), followed by analog circuits (growth rate of 9.5 %). In 2019, the fastest growth will be in sensors, followed by optoelectronic elements and analog circuits. With the rapid development of the semiconductor industry, application scenarios have been continuously expanded and embedded in automobiles and other various products. Meanwhile, with the emergence of emerging technologies such as artificial intelligence, virtual reality and IoT, the market demand for semiconductors is constantly expanding since 2013. Chinas' semiconductor market size broke through 1,000 billion Yuan, with year-on-year growth of 7.5. In 2016, the market scale in China reached 1,513.5 billion Yuan, with a year-on-year growth of 1.18 billion Yuan. As of 2017, China semiconductor market size achieved 1,686 billion Yuan, with year-on-year growth of 11.4 %. With the continuous growth of China integrated circuit design, manufacturing, packaging and other industries supported by national policies, it is estimated that China semiconductor market size will be close to 1,900 billion Yuan in 2018, with a growth rate of 12.4 %. For world pattern of semiconductor equipment industry, the globally well-known semiconductor equipment manufacturers are concentrated in the United States, Japan and Netherlands. 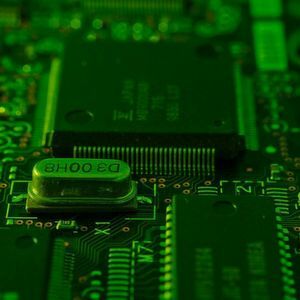 As of 2017, the global semiconductor equipment market size was about 55.93 billion dollars, and it is expected that the sales amount of global semiconductor equipment market will continue to grow by 7.5 % to 60.1 billion dollars in 2018. The third industry transfer will accelerate rise of China semiconductor. From 2017 to 2020, 62 new semiconductor production lines are expected to be added globally, of which 26 are located in mainland China, accounting for 42 %. With the rapid growth of domestic industry investment volume, the equipment demand of relevant manufacturers has also increased. Sales amount of China equipment market has grown at a compound annual rate of 26.9 % since 2012, while the relative global sales growth rate is only 8.9 %. The cleaning equipment market is also dominated by Chinese market, providing domestic semiconductor equipment manufacturers with a broad market space and opportunities.